Katy Simpson Smith talks about her new novel, Free Men. Then in the second half of the show, we replay our 2014 interview with Smith about her acclaimed first novel, Story of Land And Sea. 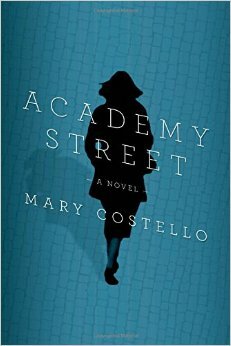 Also, we review Academy Street by Mary Costello and hear two poems by Amy Dryansky. 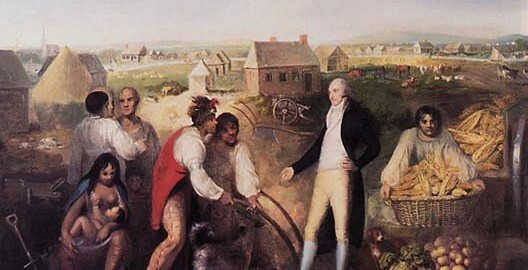 Liberty has always been the animating myth of the American idea. Ironic, because so much of what our country is, was built by denying liberty — to slaves, to the propertyless, to the native peoples we subjugated. Life, liberty and the pursuit of happiness was originally pretty much for white, propertied men. Men of power. 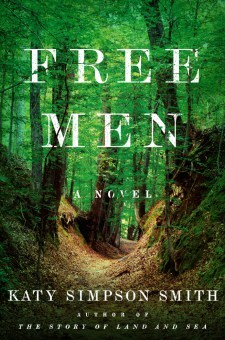 Katy Simpson Smith’s new novel Free Men examines what happens when three men who society sees as powerless decide to set their own course for liberty. Set in 1788 in the territory that would one day become Alabama, it brings together these unlikely companions: an escaped slave, a white orphan and a Creek Indian of noble birth who has been denied his proper tribal station. Based on a real event, the three commit a shocking murder. The authorities hire a French tracker to bring the killers to justice — a man whose mission vies with his desire to understand his quarry and the new America to which they belong. Free Men traces the complex motives that lead to the trio’s association with each other and the crime they commit. It also follows the women they leave behind, posing competing loyalties between the pull of family and the fierce desire for a better life. Katy Simpson Smith was born and raised in Jackson, Mississippi. She attended Mount Holyoke College and received a PhD in history from the University of North Carolina. She is the author of We Have Raised All of You: Motherhood in the South, 1750-1835, and the novels The Story of Land and Sea and Free Men. It is perhaps a banal observation that we live our lives on the inside far differently than the selves we project to others. Mary Costello’s debut novel Academy Street illumines this internal self in her spare and moving portrait of the novel’s protagonist Tess. Academy Street follows Tess from her early childhood in western Ireland through her relocation to New York as a nurse, single mother and retiree, ending finally with a family reunion at her brother’s funeral back in Ireland. The novel opens with a signal event: the loss of Tess’ mother at the age of seven. The shock renders her mute for several years, but even after she recovers her speech, she cannot shake the sense of standing apart from others. It is as if she has lost the power to communicate her inner self. Throughout her life, she carries forward a kind of social muteness. Tess’s relationships are few. She has but one close friend, a neighbor woman whose warmth and practicality ground her. A brief passionate affair ends before Tess realizes she is pregnant; and eventually her son, who she raises as a single parent, grows distant. Tess is, for the most part, alone. Yet her inner life is rich, filled with tender observations of the minute details of existence — the flight of a bird, a visit to a museum. Undistracted by relationships, she is free to train her attention inward to examine her own feelings and her reactions to the external world. As she grows older and then old, a deep sense of connection to life as it is lived blossoms despite — or perhaps even because — of the repeated losses she experiences. Over the seven decades the novel covers, a portrait emerges of a woman who trods a solitary path, beginning in fear and confusion and ending with a measure of peace and wisdom. The novel is slim but deep in scope. Mary Costello’s first book was a story collection, The China Factory, published in 2012. Academy Street is published by Picador. Next week we talk with Cecilia Tichi about her biography, Jack London: A Writer’s Fight for a Better America. And Ellen Meeropol tells us about her new novel On Hurricane Island. It’s about what happens when an ordinary woman, a mathematician with no ties to terrorism, is rendered to a US black site in Maine.